Most CEOs know how to negotiate. Whether it’s a sales contract or a supplier agreement, when it comes negotiating the elements of day-to-day operations, business owners are no novices. Should a CEO find himself seated at the opposite end of the transaction table, however, negotiation takes on a whole new meaning. Regardless of whether you are buyer or seller, there is one critical goal all parties share: getting the deal done. 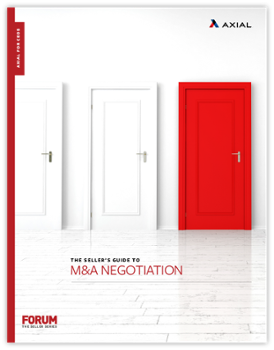 Since buyers seek to buy companies at the lowest possible price and most favorable terms, and sellers are looking to realize the fruits of their labor by maximizing price and favorable seller terms, skillful negotiation is an essential component of any deal process.